So Joe’s Ginger is actually the less famous sibling of soup dumpling powerhouse Joe’s Shanghai, but I much prepare the former. Is that weird? Oh well. What is a soup dumpling, you ask? Well, the real question should actually be: What isn’t a soup dumpling? Ok fine, there are many things that aren’t soup dumplings, but the very soupy-ness of these dumplings are what make them stand tall above the crowd. Soup dumplings, or xiao long bao, are juicy scrumptious pockets usually containing pork (but occasionally seafood) and a spoonful or so of “soup” – a rich, fatty broth. When adorned with the traditional condiments of ginger, and vinegar, xiao long bao are staying, satisfying and invariably guarantee a burned tongue. The consumption of these tricky morsels requires finesse, or the UNTHINKABLE happens – the dumpling bursts, spilling that precious soup all over the bamboo steamer. Wasteful, wasteful. I usually evaluate a restaurant’s xiao long bao on the following: skin (must be tender but not too thin), filling (quality AND quantity), and soup (generous or stingy?). Joe’s Ginger lived up to all three criteria, with delicate skin, generous filling, and flavorful soup and plenty of it. 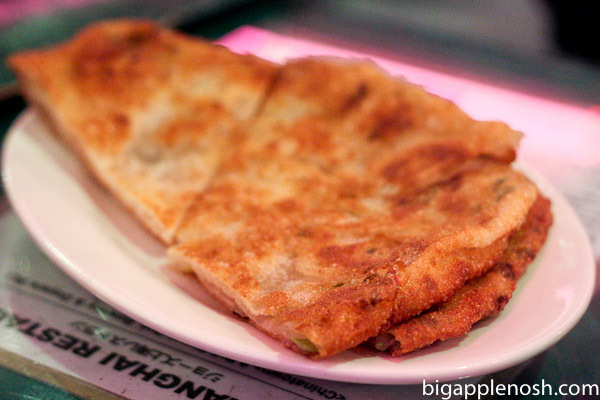 The scallion pancakes were superb – hot and greasy but not overly so. My eating buddy, dare I say, enjoyed these pancakes more than the dumplings. Whoa! We also ordered the wonton. They were thick-skinned wonton, vs. the paper-thin type, but these were also scrumptious as well. 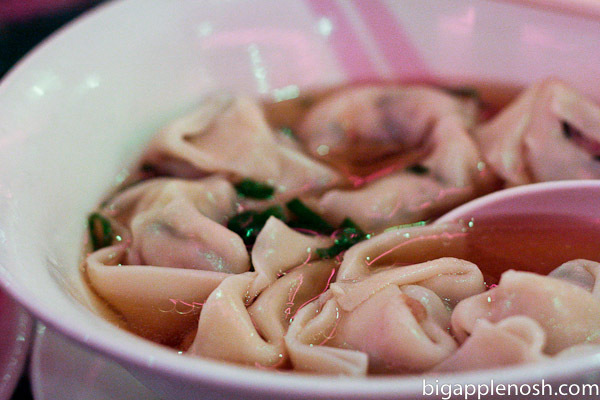 The broth was rich and meaty and the dumpling filling…filling. Joe’s Ginger is a great alternative to its busier, more touristy sibling just down the street. 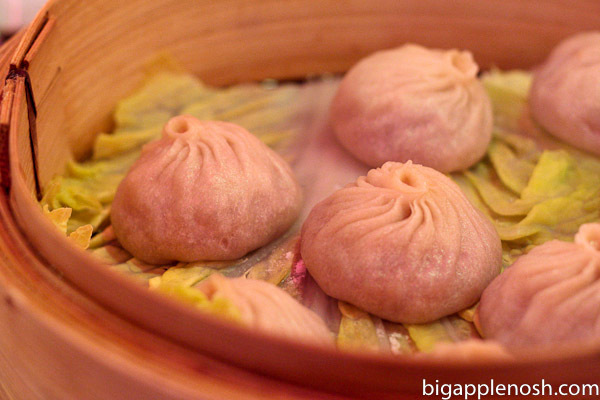 When you stop by, make sure to order the xiao long bao (duh) but also venture into some other appetizers on the menu. You won’t regret it! Up there, as far as soup dumplings go. 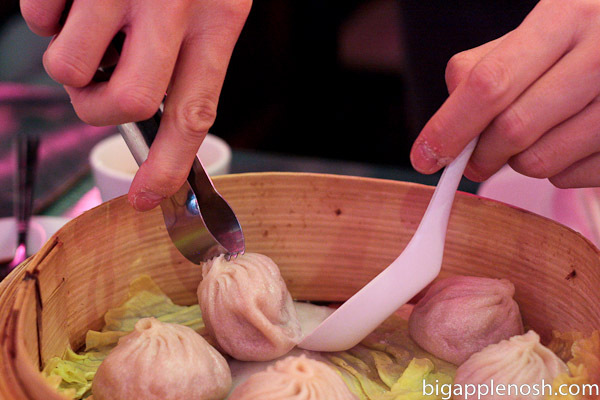 How many of you have had soup dumplings before? That looks so delicious!! And, I dropped my phone in water recently but managed to scoop it out in time and so far it's been good. I hope yours fixes itself! Also, I'm a SUCKER for dumplings and so wish I had some for lunch. Guess I'll settle for a gross hot dog. Blech. I second Jessica's suggestion about the bowl of rice! I've done it several times and it dries everything out! oh i love soup dumplings to heaven and back. thanks for this review! Thanks for the comment and the support. This precisely what I’ve been trying to say. It seems most of the people commenting objections here are designer who code their own designs. The point of the post was not that designers sh&8odnl#u217;t code their own work or know how-to, but that when they do the design don’t worry about how it is going to be built. Anything you can dream can probably be built with HTML/CSS, and if you can’t you probably just need to learn more HTML/CSS. mmmmmmmm. now i'm craving soup dumplings. and I always have the soup spill all over me. I've always wanted to make dumplings, but for some reason I am SO intimidated. Honestly, I don't think I've ever eaten a dumpling before either haha! scallion pancakes look & sound so good! 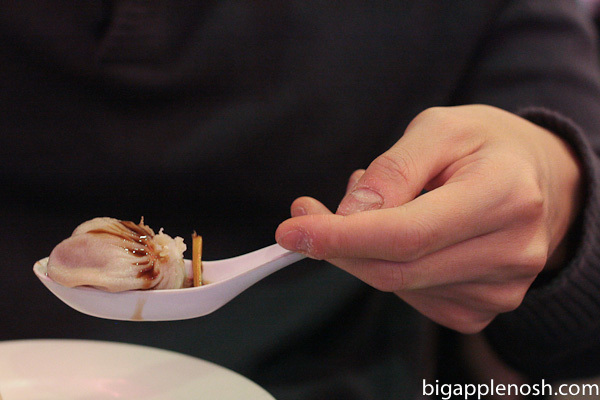 I ALWAYS burn my mouth when eating xiao long bao – ugh! Yet, I still crave them all the time, like right now. Thanks! I'll have to check this place out. I did like Joe's Shanghai, but it was super duper packed. If you're ever in Flushing, there is a place where I think their soup dumplings beats all else in NYC. Im jealous that you eat the most interesting food…I really would love to explore more food options! Love wonton soup! I just blogged about eating these this weekend – yum! Oh boy do I have a craving for these now! Yum!! Come to my neck of the woods and I'll take you to the place in Flushing!